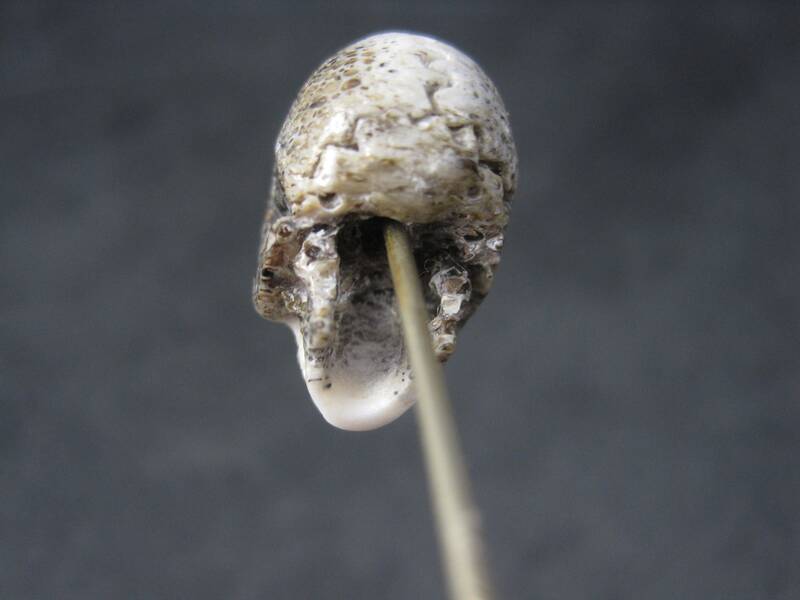 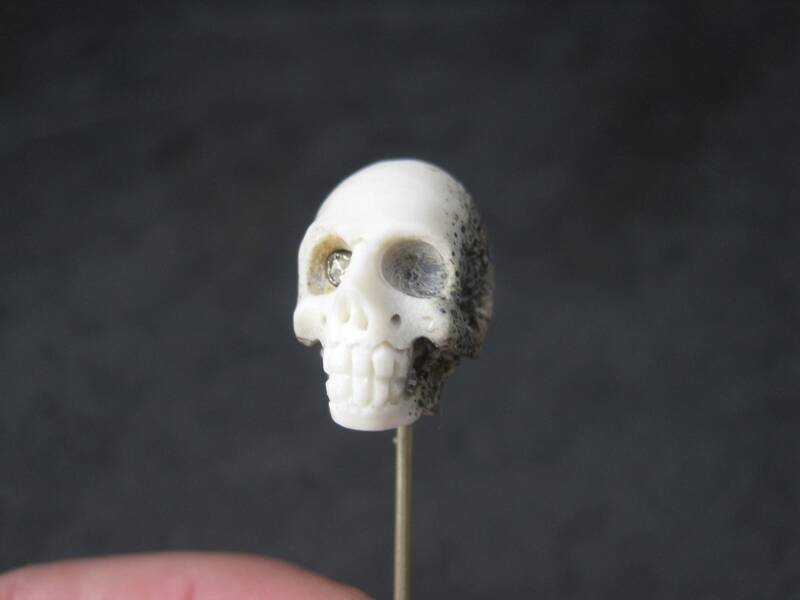 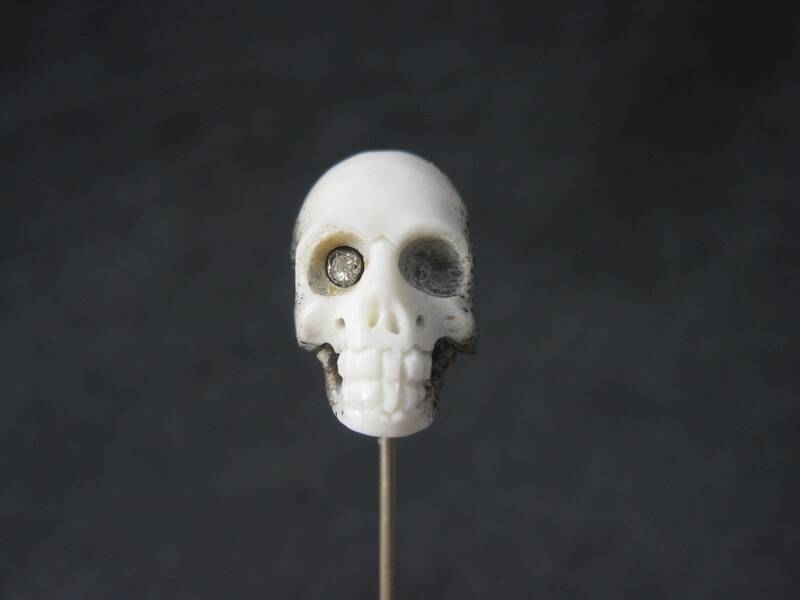 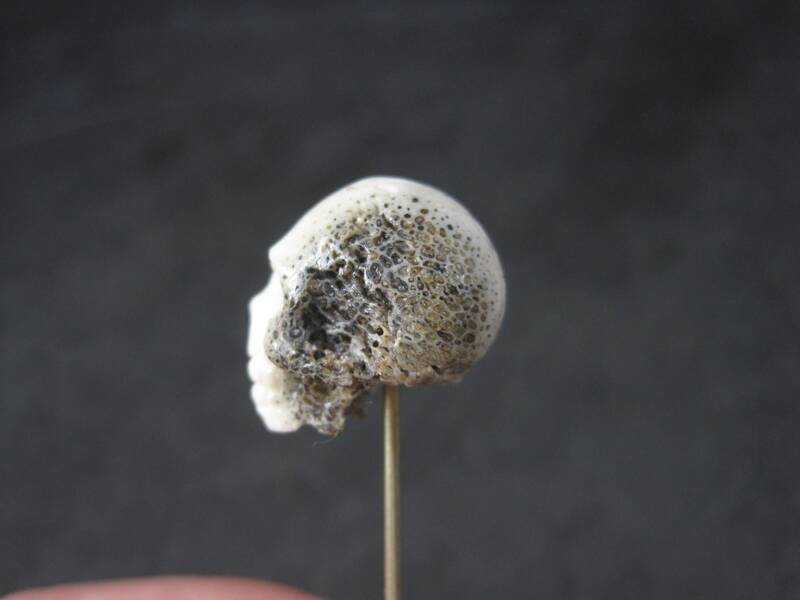 This beautiful stick pin features a carved antler skull with a small clear stone set within its eye. 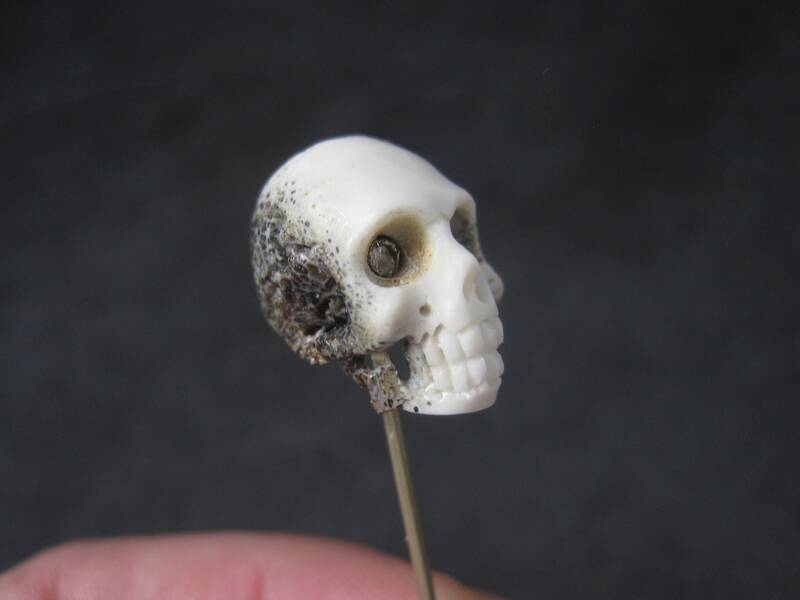 The skull is quite unique. 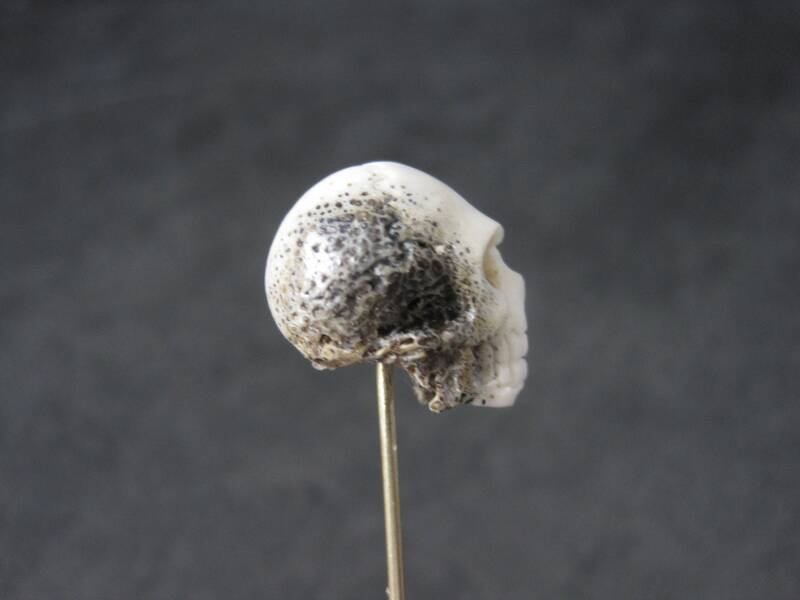 It looks like the sides were darkened or burned at one time. 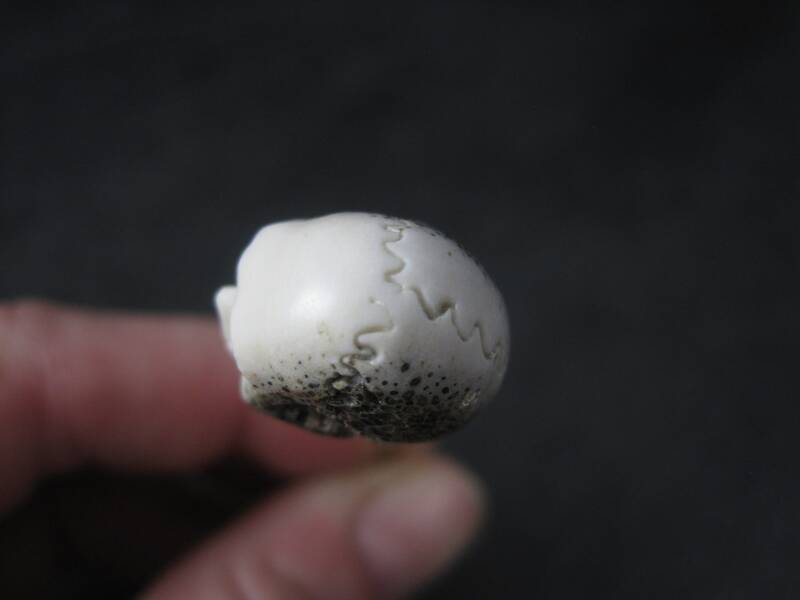 Whatever it is, the process looks natural under magnification - not like paint or ink. 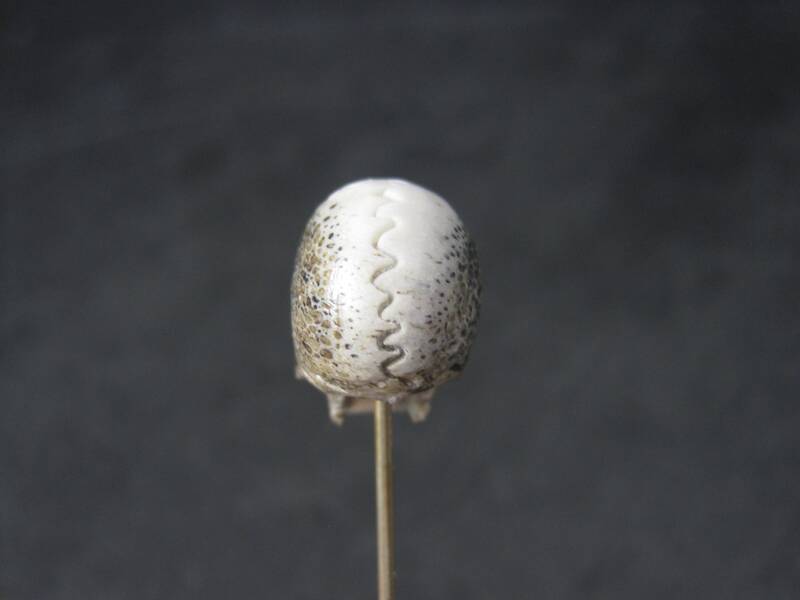 The pin looks to be gold fill or brass but is unmarked. 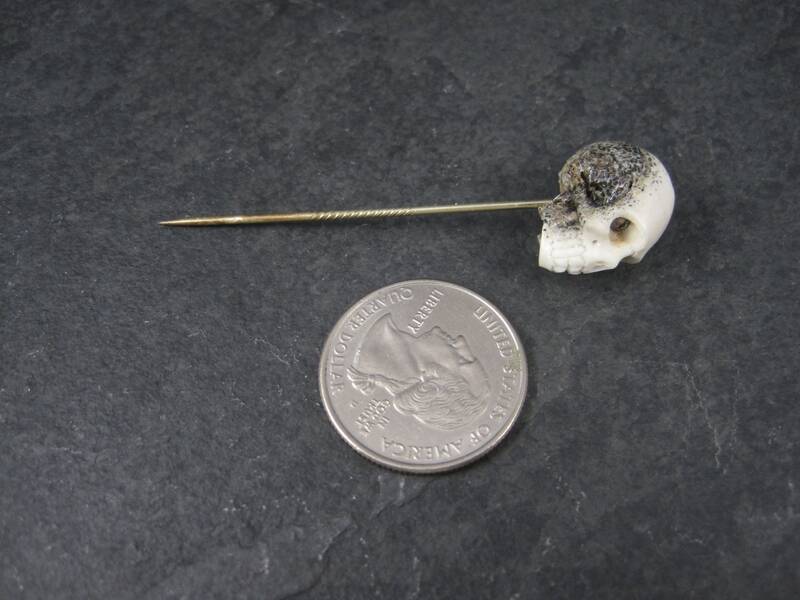 The skull measures 11/16 by 1/2 of an inch. 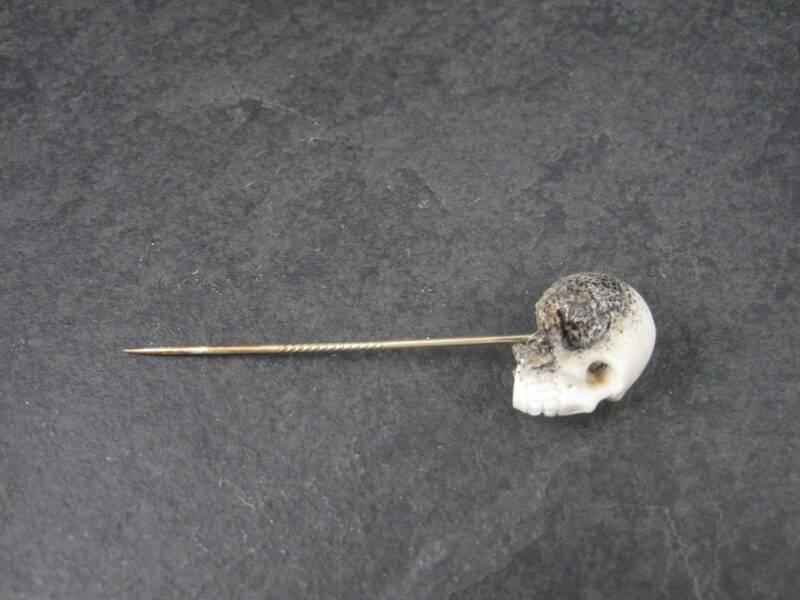 The pin is 2 9/16 inches long.